F1 Hotel in BGC has been the go to place for business travelers and leisure lovers. 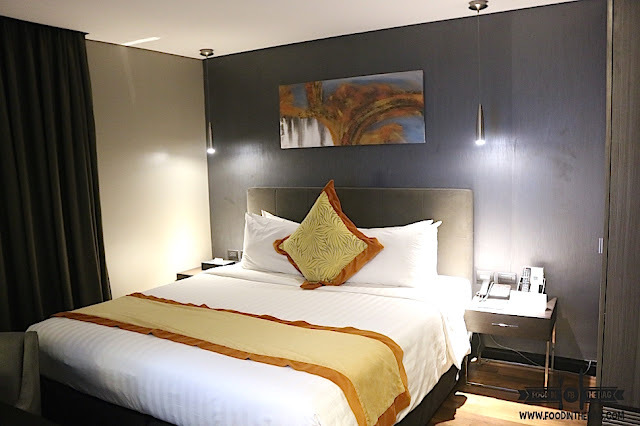 This hotel is straight to the point and offers amenities for the needs and wants of everybody. This holiday season, they whipped up a storm to welcome everyone to their humble abode. 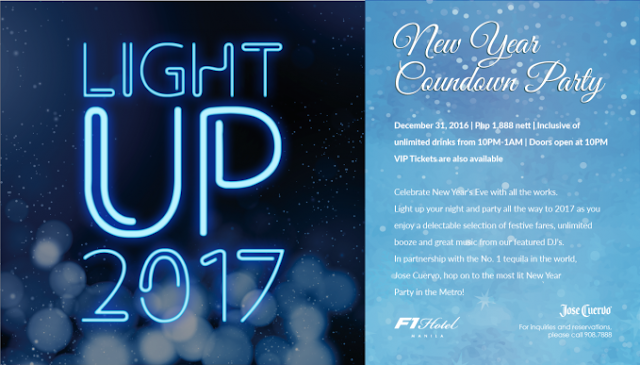 Located in BGC, F1 HOTEL is the home of happy memories. This is also where The KTG was born. 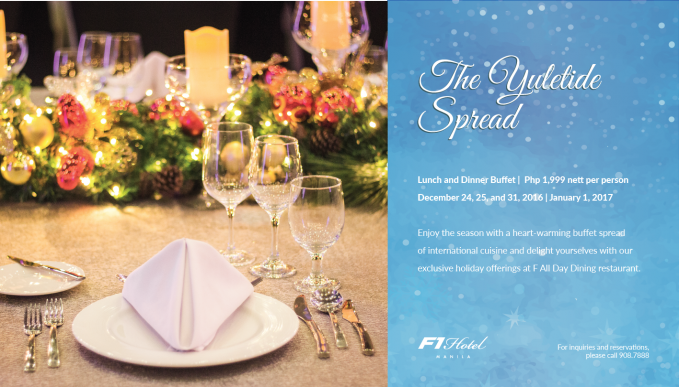 For this coming Dec 24, 25, 31 and January 1st, F1 HOTEL is opening up its doors for a scrumptious buffet spread. 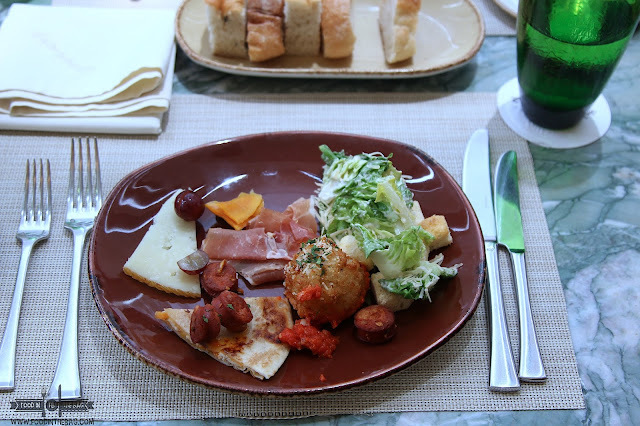 The people in the kitchen were able to capture the taste buds and the eyes of the guests. 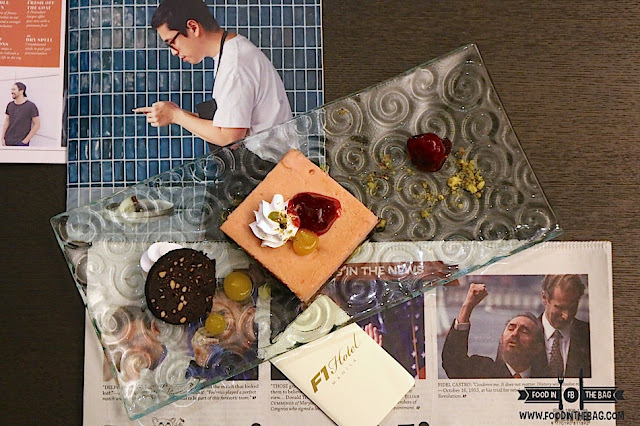 There were a lot of new dishes that F1 HOTEL would offer. 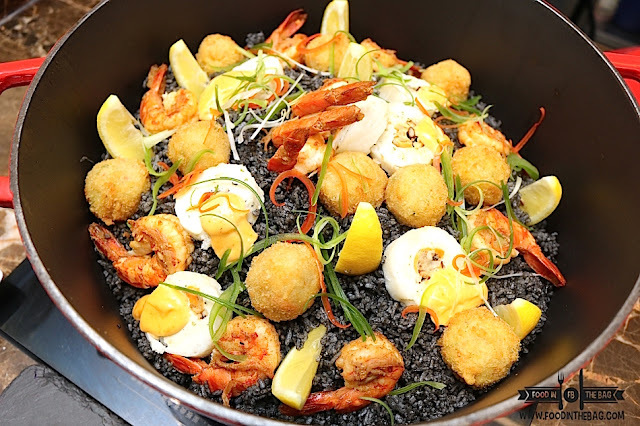 Starting off with the PIANGGANG PAELLA. Rather than using squid ink, burnt coconut shavings were turned into powder to create this dish. 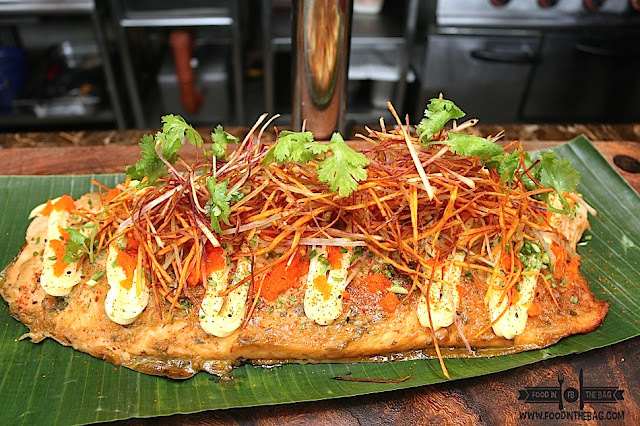 Fish lovers would enjoy the MISOYAKI SALMON. Marinated in a miso sweet sauce, the salmon is perfectly cooked and moist. Another seafood dish that would definitely make the cut would be the PRAWN THERMIDORE. 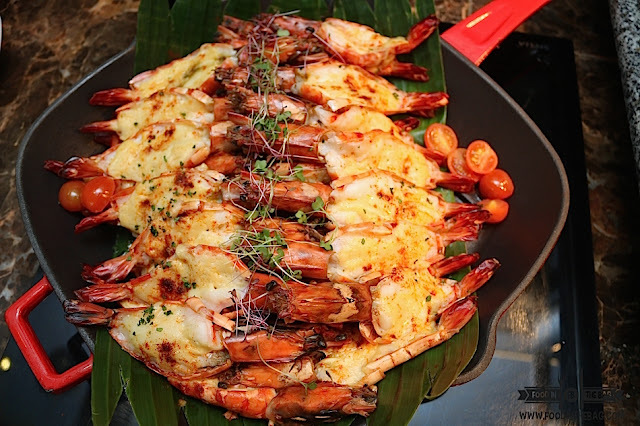 Cheesy and gooey, the mixture of the sauce goes well with the prawns. 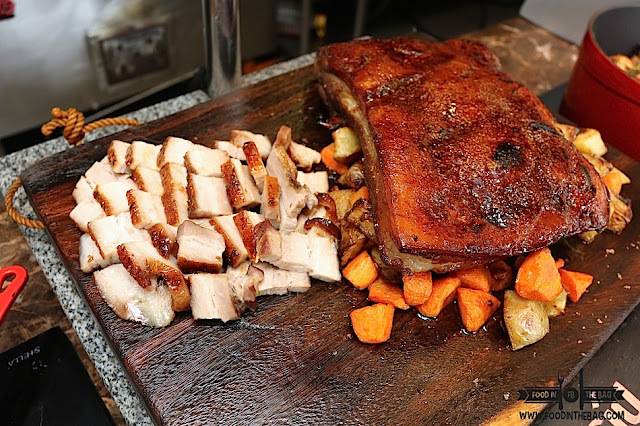 IF there was one dish to try it would be the CHAR SIU PORK BELLY. Served with hoisin and plum sauce, this tender and juicy meat is delicious. This would go well with everything that you may want to order. 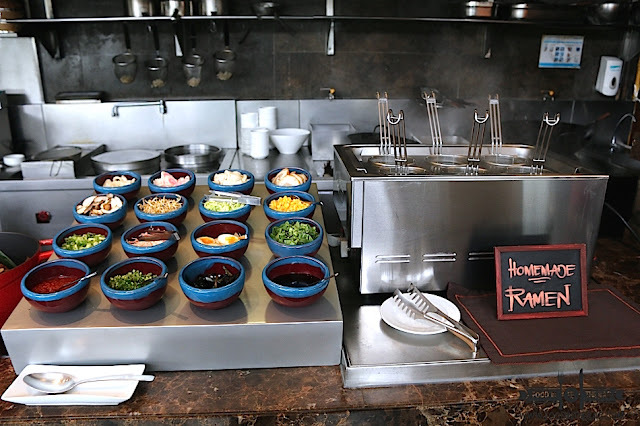 Aside from the different dishes, guests are also invited to create their own ramen. Pick from a the toppings and get creative on those noodles. Japanese dishes were also well represented with tempura and some sushis. 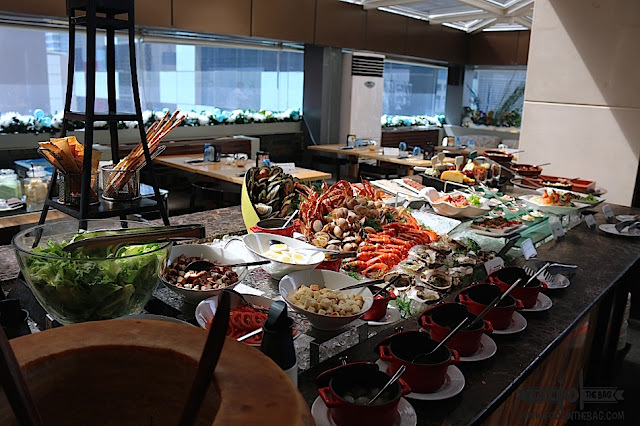 There were also some shrimps, crabs and oysters for you to have and enjoy. The dessert was well curated. 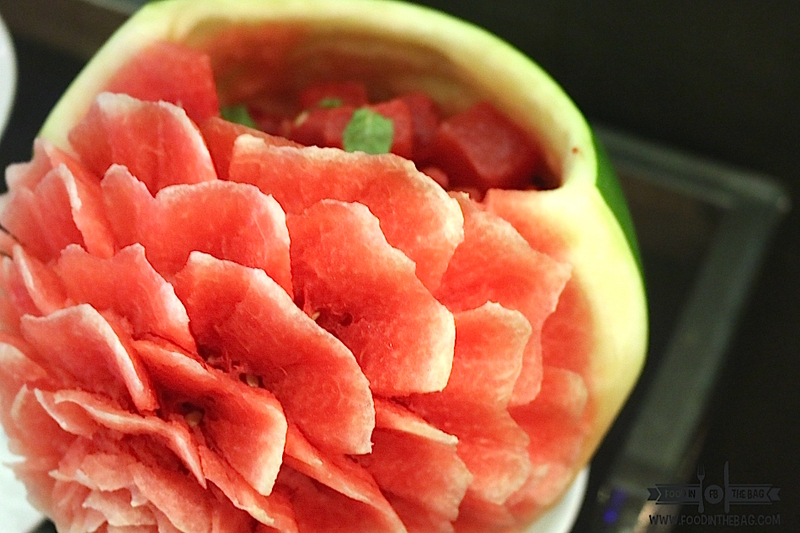 From fresh fruits and not overly sweet pastries, you won't go wrong with any of them. 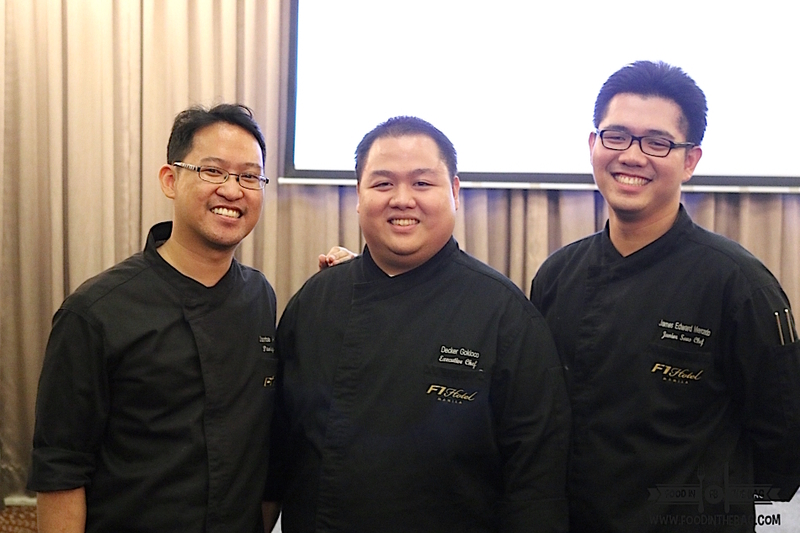 Suffice to say, it was because of these awesome chefs that new dishes are being formulated and served in F1 Hotel. From Left to Right: On Pastries, Chef Dante Abalos , Executive Chef would be Chef Decker Gokioco, and Junior Sous Chef James Mercado. 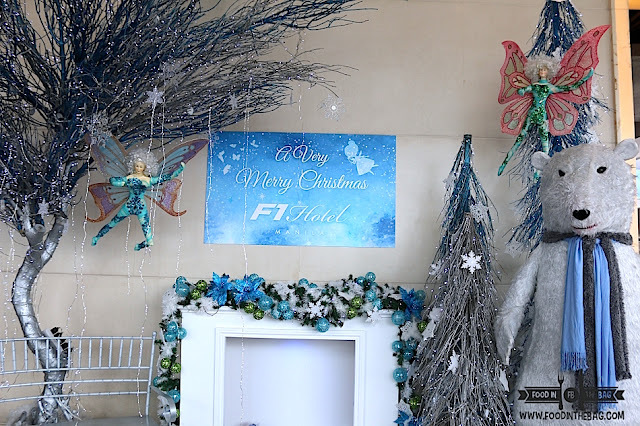 It seems that F1 Hotel's Facilities also had an upgrade. 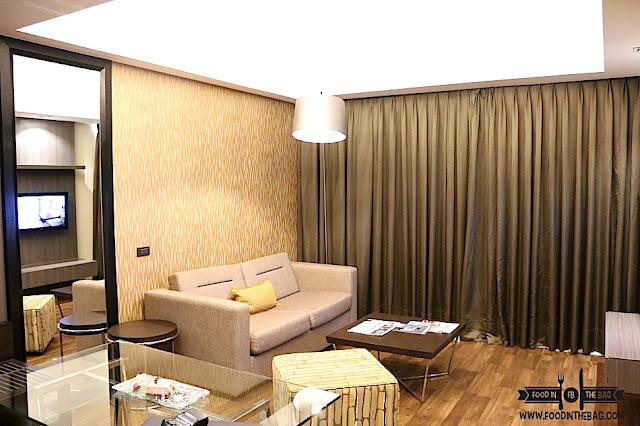 Guests would be pleasantly surprised with all of the new stuff they could see and enjoy in the hotel. 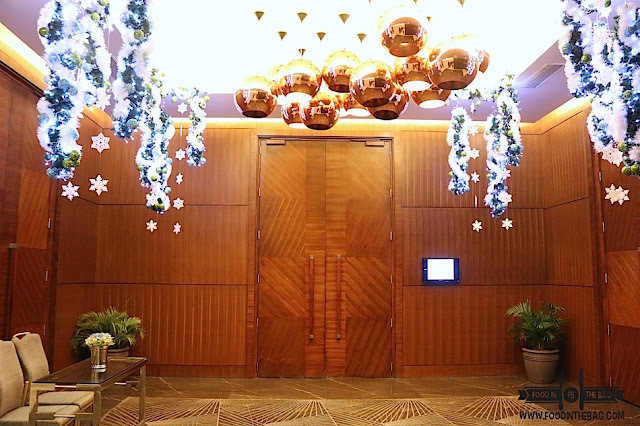 One of them would be the well decorated function room. 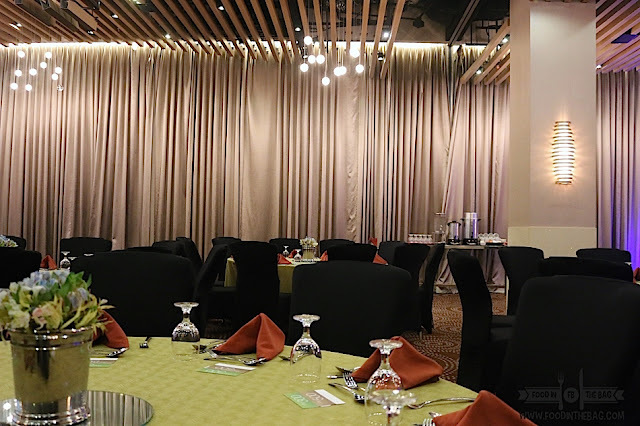 Bright lights and well prepared tables, the rooms are easily converted to whatever setup the patrons would love to have. 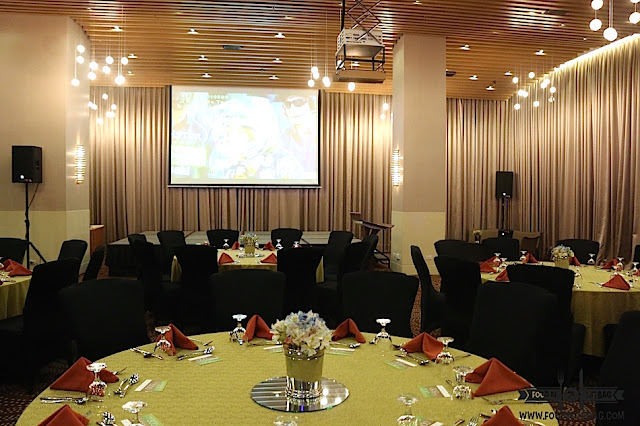 LCD screens are also present and could even turn the place into a karaoke session. Rooms are also having constant make overs. One of their best rooms, the FORT is where the magic happens. A big receiving area for guests and a different bedroom for some peace and quiet. If in case you and your love ones don't agree on a channel, you would be happy to note that there are two huge lcd tvs in the room. 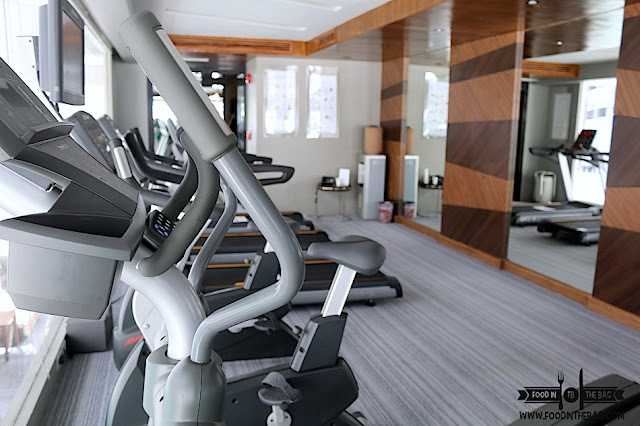 Aside from the pools and the spa, the gym is perfect to work up a sweat. Open 24/7, this is where you could destress and relax. 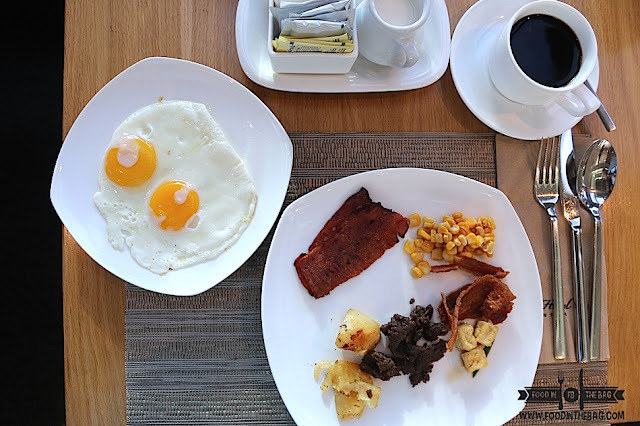 Breakfast will not be complete without eggs and bacon. Thankfully, F1 Hotel has more than just that! 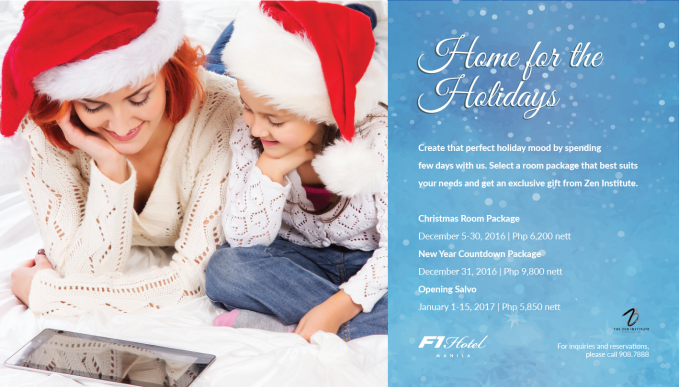 If in case you are planning to have a little staycation, F1 Hotel has a couple of staycation packages. If in case you are wondering where to eat or have a party on Christmas and New Year's Eve.